Why does France TV 2 report mostly from the side of BLM and pro-slaughter advocates? Recently France TV 2 came to the American West to report on the “problems” caused by the “overpopulation” of wild horses. Someone either fed them the story or they did a little research on Google about American mustangs and found the Bureau of Land Management’s (BLM) authoritative spin, vast website and their new America’s Mustang campaign to get their overpopulation message out, couched with pretty pictures and enticing video footage of huge herds running, helicopter roundups, etc. making news reporting easy. What foreign journalists would think the BLM is lying about wild horses chasing cows away from water sources when they have so much “factual” material out there to back up their position that there are too many wild horses? Mustangs are no longer welcome in the American West. 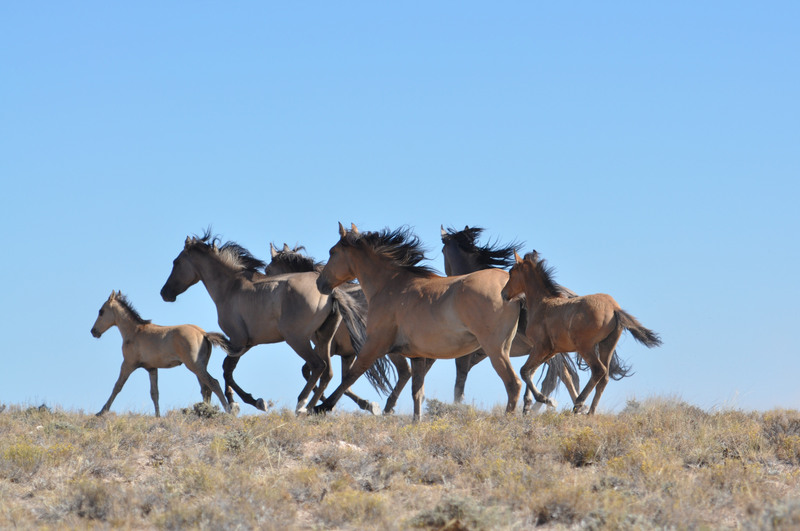 Federal authorities ring the alarm for the overpopulation of wild horses on the land. There will be 150,000 in five years if nothing is done to stop their expansion. A bigger problem than the horses reproducing quickly and devouring everything on their path, according to the administration, is what is creating conflicts with certain ranchers. The Unites States prohibits slaughtering mustangs, but the same authorities want to limit their number to 25,000 but 50,000 mustangs are on the land. The ranchers who share the land with the wild horses won’t tolerate limited access to water sources in areas invaded by wild horses. The mustangs chase off their livestock. In total, 2,000 chevaux were gathered in 2015, an insufficient number to reach the fixed objective, but the animal defenders call the process barbaric. Different methods have been launched without results, and that’s pushing the federal authorities to propose an award of one and a half million dollars to find a long lasting solution for the wild horse problem. Sadly the myths reported as truth in the France TV 2 news report were not countered effectively and the good counter points ended up in the trash. The journalists interviewed BLM staff on the range. They met with ranchers who push the overpopulation myth and are pro-slaughter–including Callie Hendricksen. They interviewed Carol Walker, photographer, legal plaintiff and board member of Wild Horse Freedom Federation at a watering hole with a lot of mustangs. The journalists reported on training at a prison program with failed adoptions being the undertone. France TV 2 seems to have heard from all sides of the issue to be fair but who were their handlers? Was it Callie Hendrickson or BLM’s staff over at their America’s Mustang campaign? The news editor crafted the story from the materials shot in the field resulting in the BLM and pro-slaughter viewpoint out in front. The whole story focused on the alleged overpopulation of wild horses in a country that prohibits slaughter with the feds offering $1.5 million to whoever find the lasting solution for population control. Sounds like the BLM pitched this story to push their heinous agenda. The French report shows the advocacy where we are losing the battle. . . We are split. . . A portion of the advocacy is supporting the overpopulation myth and offering solutions to the false problem. Are there really too many native wild horses left in the wild? When wild horse groups support BLM’s overpopulation myth–with advocates pushing PZP as the “solution” to the “problem”–the overpopulation myth gets stronger and is eventually seen as truth. Reporting on myths as truth is a tactic used to sway public opinion–the second largest super power according to the President of the United States. If we don’t all stand up to disprove the overpopulation myth then slaughter, sterilization and cruel roundups will be the end result. PZP, made from slaughterhouse pig ovaries, is used for slow extermination because science proves it sterilizes after multiple use while the general public doesn’t notice. It’s a way to manage them to extinction, period. Proponents of the one foal only policy are jeopardizing survival of the species. What happens when the mare is sterilized through PZP applications and her “one foal” dies in the wild? BLM has no accurate head counts of wild horses. The National Academy of Sciences stated in their 2013 report that there is “no evidence” of overpopulation, period. It’s time for all advocates to come together to protect wild horses. Together we are a mighty force for the wild ones. I challenge all group leaders and advocates to put aside personal differences, break their contracts with BLM and agree to fight together to protect America’s wild horses for once and for all. Together we can do this. Protect Mustangs is a national nonprofit organization making grassroots count. Our mission is to protect and preserve native and wild horses. Besides engaging mostly in outreach and education about the wild horse crisis, we advocate for holistic land management, self-sustaining herds and reserve design. We are calling for a 10 year moratorium on roundups for the herds to recover from the roundups and for studies to form good management plans. Right now there are no accurate census counts on the range so we don’t even have a clear picture of the few wild horses left living in freedom. Our members don’t see an overpopulation or “excess” of wild horses on public land, even if the population is over BLM’s biased appropriate management level (AML). Livestock outnumbers wild horses more than 50 to 1 on the range. Yet wild horses are always scapegoated for damage by special interest groups. We are deeply concerned that the use of FDA approved “restricted use pesticides” such as PZP–an immunocontraceptive made from pig ovaries that people call birth control–sterilizes mares after multiple uses and should never be used on nonviable herds, those herds with less than 150 wild horses. Genetic diversity is essential for survival and using PZP surely will curtail that. 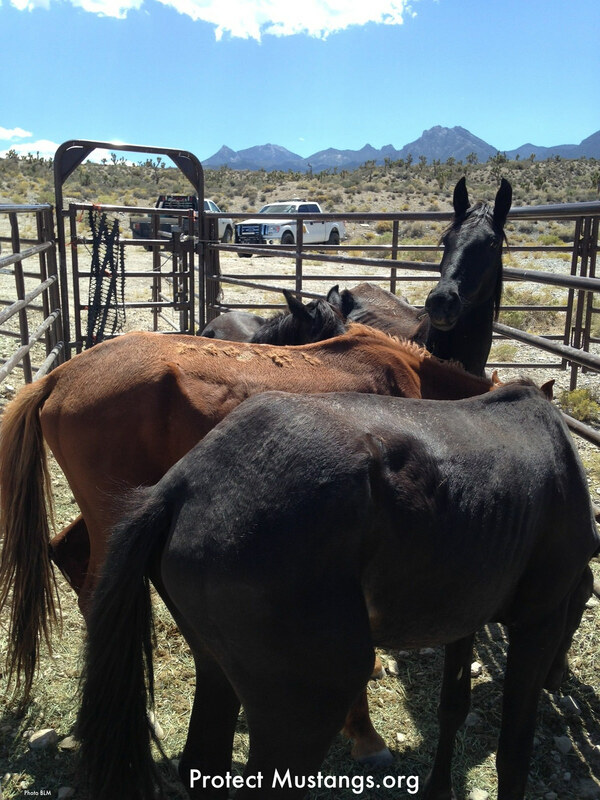 There is one herd in Nevada currently being treated by wild horse advocates that seems to have less than 50 wild horses. This worried us. Wild horses are a native species and not pests. Sadly there are factions who are treating wild horses as individuals and ignoring the herd element and other factions treating wild horses as invasive pests. We are also concerned PZP and other sterilants affect behavior and that mares will be subjected to live in unnatural situations. Ruining survival of the fittest and natural selection is our biggest concern if man chooses who breeds and how many foals are born. The herds must adapt to upcoming environmental and climate changes in order to survive, therefore genetic variability is essential at this pivotal time. We are 100% volunteer and are working to help the wild horses without any conflict of interest as far as we can tell. We do not receive funding from influencers, corporations or organizations connected with the drug PZP, the pharmaceutical industry, Big Oil and Gas or other energy, ranching and mining sources. That’s why your donations are so important. Thank you for reaching out to us. It’s important to do the research and find the answer for yourself so you can feel good about taking action to help save the last of the wild horses and burros. We are grateful you care so deeply about saving America’s wild ones.